← 2 Tylenol changes: Packages recalled AND Change in medication strength. There are many things in life that we cannot change: our age, our gender, our family history. But, there are (what we physicians call) modifiable risk factors. To decrease your risk of breast cancer, follow these. . . .
curb excess weight after menopause. The Susan G. Komen asked for this data to be amassed and the Institute of Medicine’s Committee on Breast Cancer and the Environment delivered. In addition to the risks found above, there were other factors that were less clear. There is conflicting evidence regarding the risk/benefit of physical activity, use of hair dyes, and exposure to non-ionizing radiation (like microwaves). Other risk factors being investigated are second-hand smoke exposure, nighttime shift work, exposure to chemicals like benzene and ethylene oxide. 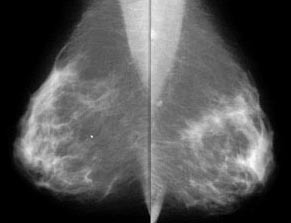 This entry was posted in breast, Uncategorized, Women's Health and tagged Andover, breast, breast cancer, cancer, Dr. Greenberg, Dr. Leslie Greenberg, Family Doctor, Family Medicine, family physician, family practice, kansas, mammogram, wichita. Bookmark the permalink.